Hotels all look the same, you're bored of hostels and you want to set up a good base for your explorations. 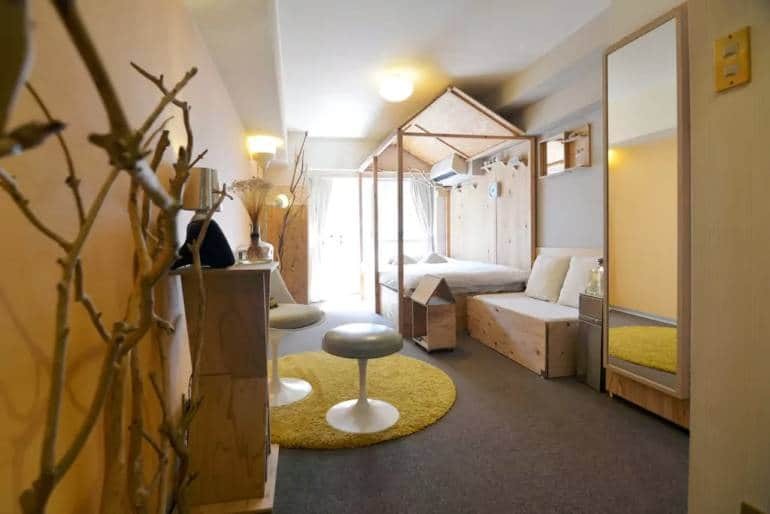 Airbnb is the answer — and there are plenty of unusual choices in Tokyo. Despite the previously contentious legal status of Airbnb in Japan, they are fast becoming the preferred choice for many travellers. With hundreds in Tokyo, they can vary from small "regular" apartments to stunning penthouses, as well as other more creative options. 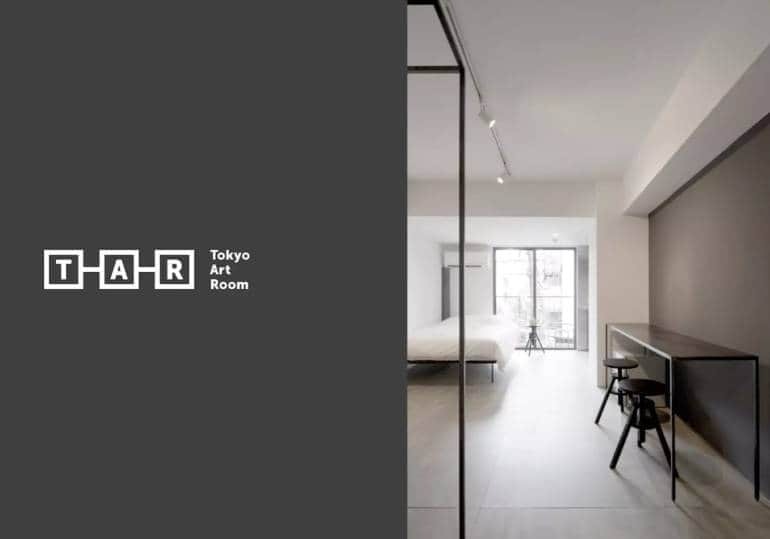 Here, we explore some of the most interesting rentals in Tokyo. Designed by the hosts to be cosy and snug, and featuring its own handmade cabin, this small apartment in Shibuya definitely gives that hideaway feel — perfect if you need a break from the busy streets. The location is ideal for anyone interested in the nightlife as you are within walking distance of the top clubs and bars in Tokyo. You might think living in a wall-less house would prevent most people from becoming Airbnb hosts, but not this family. 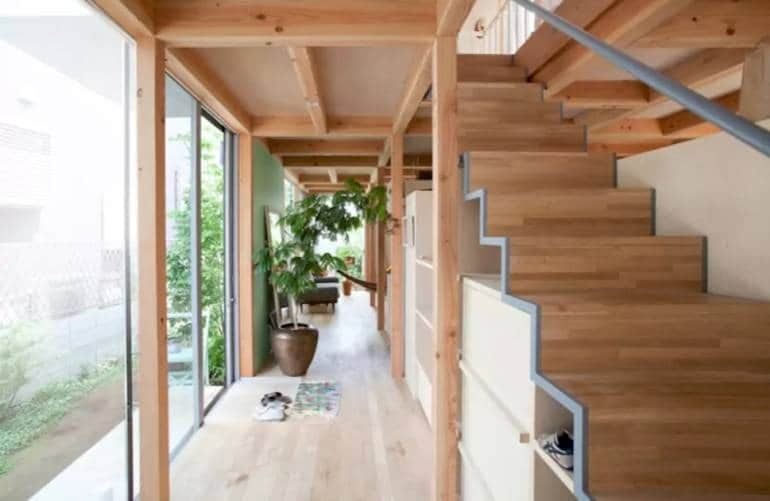 Living in a modern house designed by a renowned Japanese architect, this family of three welcomes guests into their unusual home. A great chance to meet a local family, enjoy home cooking and see everyday life in Japan; the house with no walls (well, some walls, and curtains too — so don't worry, privacy exists!) means you get a transparent look into modern Japanese life. The apartment is near the beautiful Todoroki Valley, a green oasis in Tokyo. Ok, so it's technically Chiba Prefecture (Tokyo’s neighbour to the east) — but at under 75 minutes from Tokyo and with those views, it couldn't be left out. 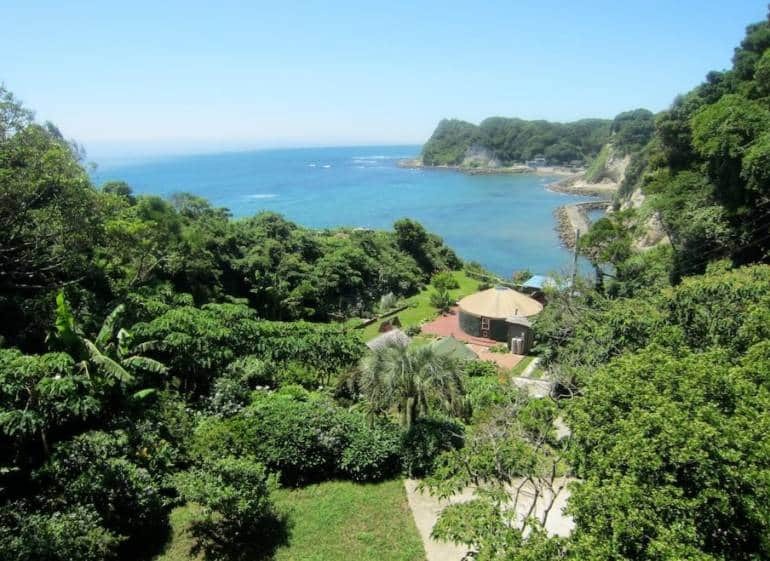 Situated in the quiet cliffs above the Pacific Ocean in Isumi, this yurt offers a total getaway, complete with a full kitchen and natural brick barbecue outside, you'll be able to make the most of the fresh foods from the local market. The terrace also has a large hot tub, a cabana bar and there is an on-site masseuse and acupuncturist as well as a yoga teacher — so what are you waiting for? If you want to make sure you're right in the centre of Tokyo's nightlife, then this is the spot for you. In one of outdoor food court Commune 2nd's many corners is a Japanese custom-built caravan, and it's rentable. With one of the best atmospheres in Tokyo, Commune has a great variety of bars and food trucks, with shared workspaces and small businesses — so you will have a great evening out, right on your doorstep. 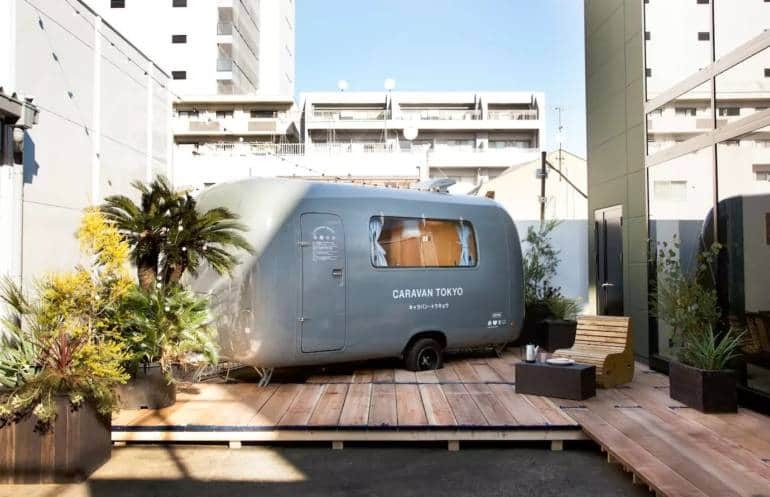 You’ll have access to the shared workspace and the caravan has its own bathroom with hot water. Importantly for guests, Commune closes strictly at 10pm, even on Fridays, so you don't have to worry about noisy neighbours! 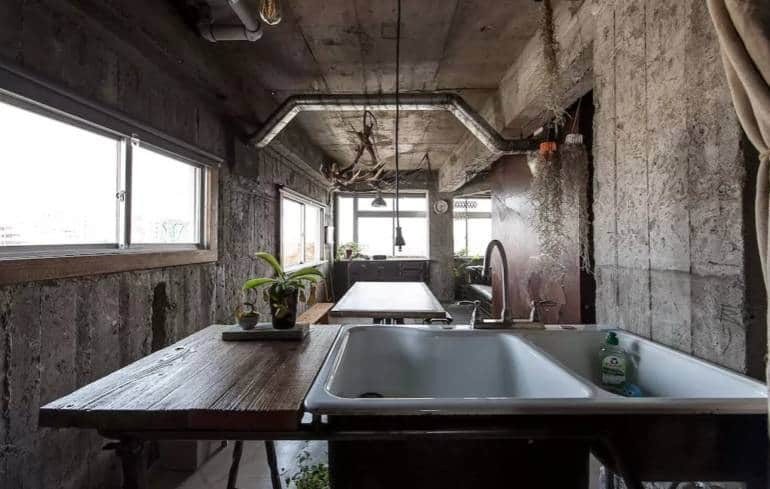 Unlike anything you will have seen elsewhere, this apartment has a unique reclaimed-meets-industrial, almost dystopian design style — carried through with perfect attention to detail. The apartment has a stripped-back kitchen and very modern appliances, as well as one main feature: the Goemon bath. This is a traditional free-standing, deep, round bath which is definitely not your standard hotel find. With free wifi, 5 minutes from Shibuya and a chance to escape real life entirely, it's one of Tokyo's most unusual places to spend the night. Minimalist is the key word here, and while small apartments are the norm in Tokyo, ones that feel this spacious aren't. With almost everything renovated and custom made by the hosts for the apartment, the simplicity and quality make it instantly calm. Run by a creative collective, they initially began their forays into Airbnb to showcase handmade furniture and local art, and aim to keep a creative community feel, with meetups organised and guests welcome to attend. Having previously hosted the co-founder of Airbnb as well as their head of design, this affordable modern apartment has the seal of approval from those in the know. 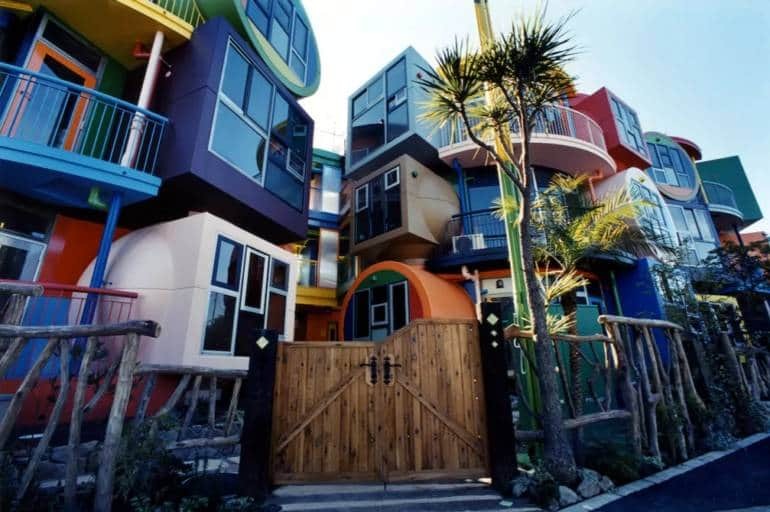 So for any Girls fans out there, this is Shoshana's ridiculous apartment in Tokyo, and you can stay here.The Reversible Destiny Lofts were built in memory of Helen Keller and are liveable works of art. With minimum stays starting at weeks rather than nights, these are billed as creative getaways and will certainly stimulate your senses. With space for four and all the modern amenities, plus hammocks, staying here is an adventure in itself. If you like the idea of Airbnb, but these are a little out of your price range, see our guide to Tokyo's top budget Airbnb rentals.